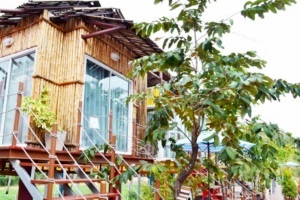 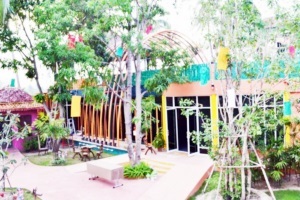 Vartika Adventure Retreatic Resort Kui Buri Address : 62/1 Moo 5 T.Bornok A.Kui Buri Prachuap Khiri Khan 77210 Thailand. 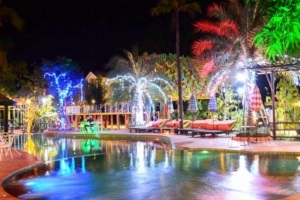 Vartika Adventure Retreatic Resort is situated only 800 meters away from Vartika Resovilla KuiBuri. 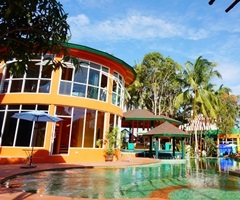 This resort offers fun and excitement for families and friends who seek adventurous activities during the stay. 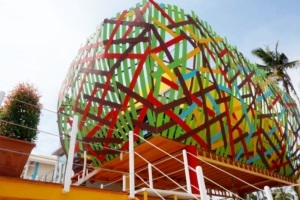 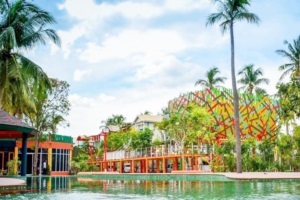 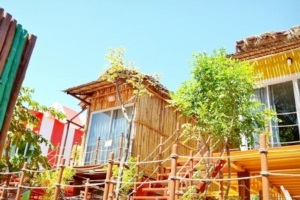 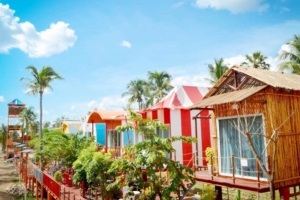 The resort itself contains the colorful concept with unconditional designs for both interior and exterior decoration, combining oddness and harmony as one in order to give the idea of "experiencing a new world with every visit" – much like Vartika Resovilla KuiBuri does. 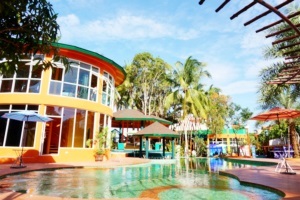 The resort provides a salted swimming pool with a pool bar, a flying fox, a kid's club with games and movies provided, and even Do It Yourself arts of glass, bags, t-shirt painting, frame making, and jelly candles. 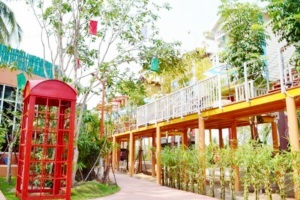 Within the resort, you can have Thai, Italian, American, Asian, and international dishes from three types of restaurants. 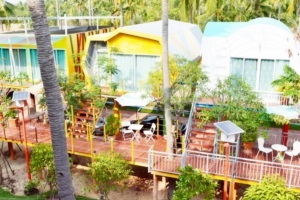 Vartika family, under the Busree Boutique Resort Group, maintains the concept of being friendly to the environment and saves the natural sources as much as possible by adapting alternative energy into practice. 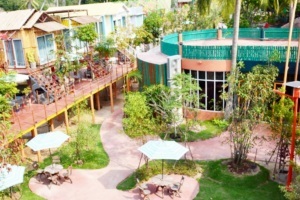 Also, the property supports local producers of vegetables, fruits, milk, and seafood in order to sustain our community.